Mediafilm’s 8th CinéBazar, organized and supported by the big names of Quebec cinema: Cinécole, Régie du cinéma and in partnership with TeleFilm among others, is a unique event that brings together distributors, exhibitors, fans and collectors all under one roof. 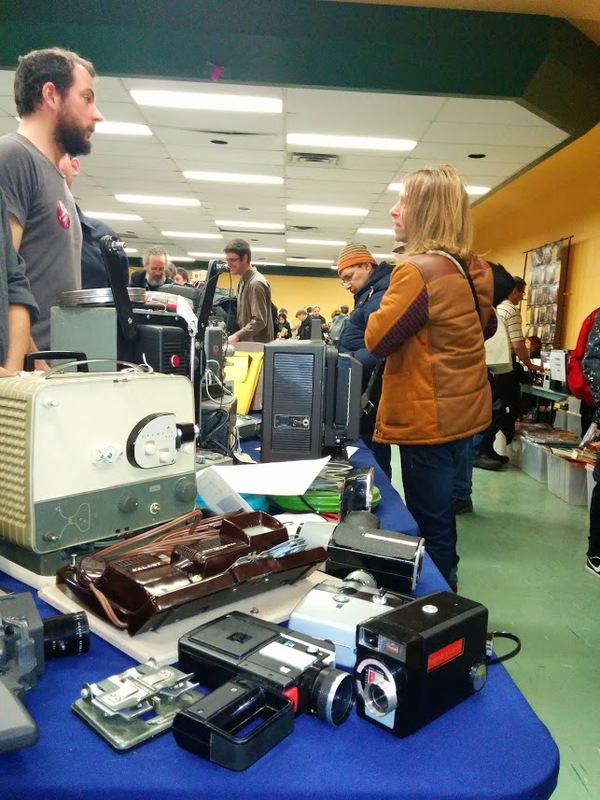 This event, now in its eight year, had collectibles of Kino including VHS cassettes, DVDs (blue ray included), 8-, 16-, 32-mm film, posters, books and memorabilia at prices that didn’t hurt the pocketbook one bit. CinéBazar sign. Photo Sinj Karan. The chilly late March morning didn’t deter people from gathering at the Centre du plateau starting 9 a.m. in the morning. By the time mid-day rolled around the place was packed and buzzing with activity. There were close to 100 exhibition tables and like last year, more than a thousand visitors and counting. Cinémathèque québécoise, the magazines 24 images, Ciné-Bulles, cinema du Parc, cinema Excentris and our very own local international documentary film festival RIDM, were the local regulars. 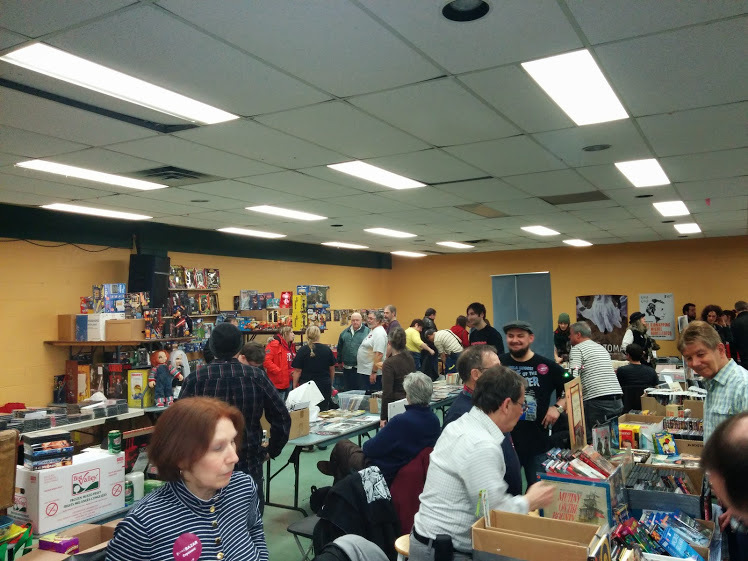 Surprisingly, the largest contingent of saleable items were horror flicks, figurines from Jaws to the TV series The Walking Dead and vintage posters, movie stills, even posters and games from the best and the worst of horror cinema. 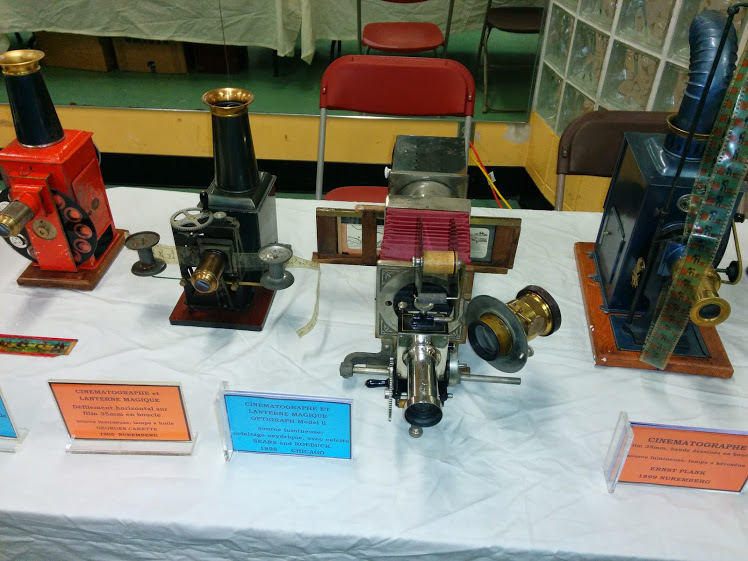 I struck a conversation with one of the exhibitors, who has been collecting film cameras for 52 years. His oldest piece was a Highlander from 1959. In a world that gets more digitized with each passing minute, it’s impossible to imagine that at the dawn of the century making a movie wasn’t just the click of a button. 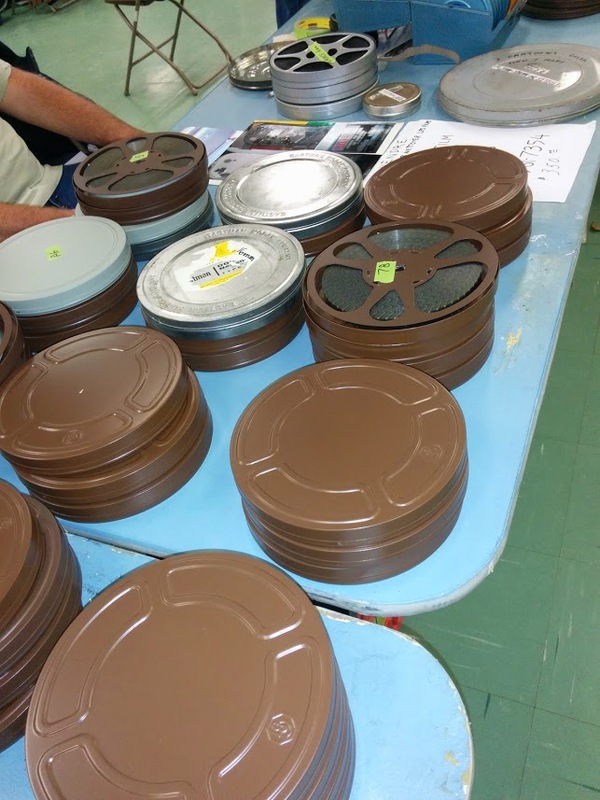 It meant endless rolls of film that made it from the back of a camera to an editing table, only to be hand cut and glued back together to create a meaningful narrative. To date, there is nothing that can beat the rush of looking through a film reel against a light source. (main sponsor), a free film-education program driven by Mediafilm. 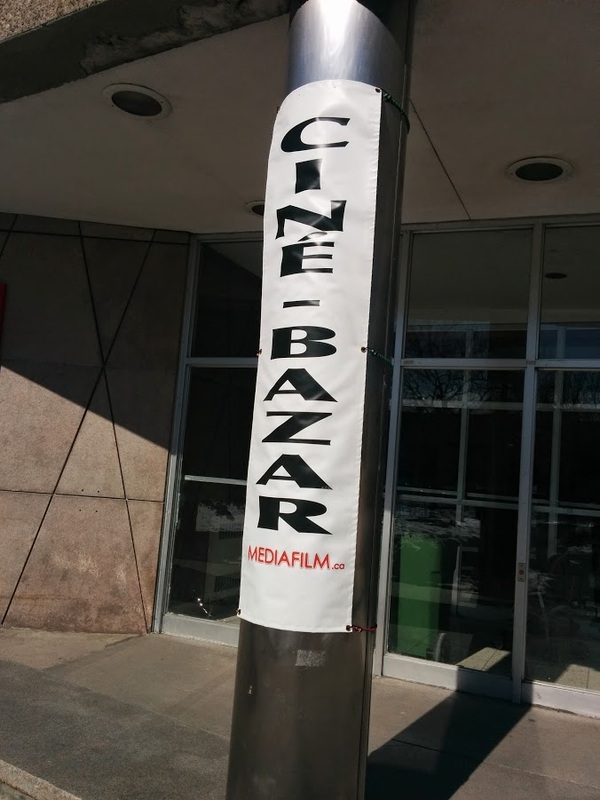 CinéBazar is the kind of event that makes Montreal such an amazing city to live in. My take away were a few classics including Dance With Wolves and Life is Beautiful and a full collection of Lord of the Rings for just $10. I was happy!